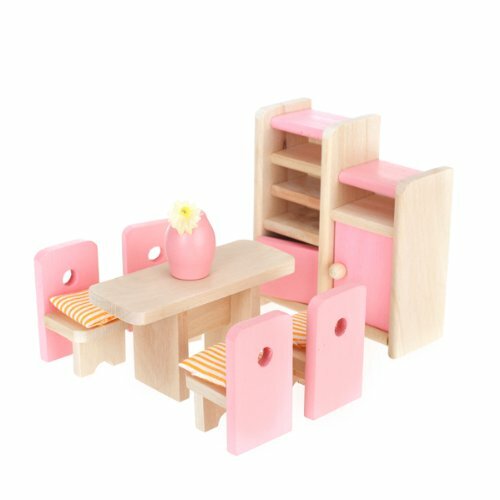 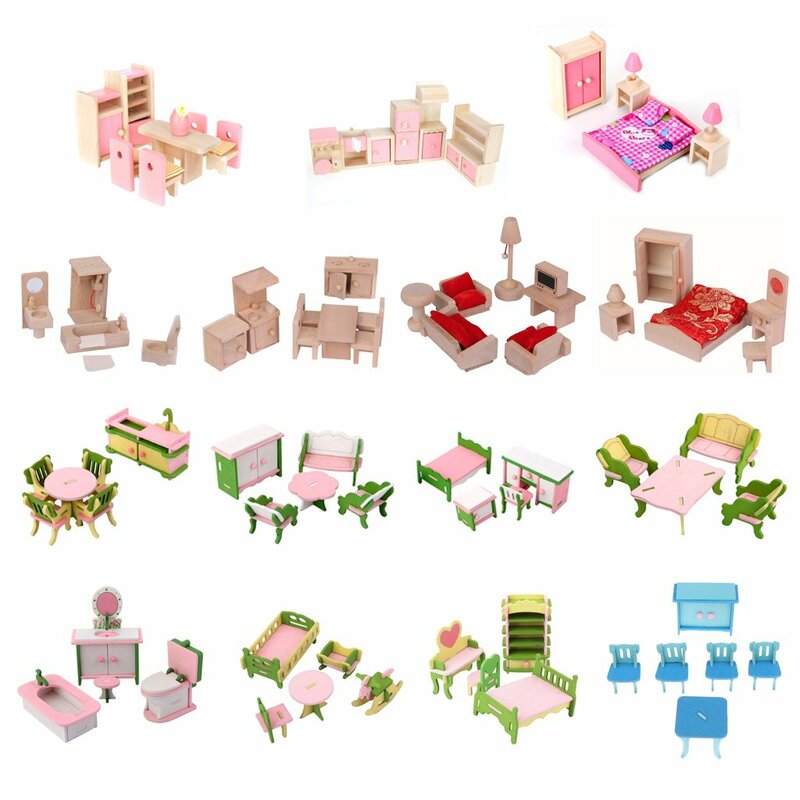 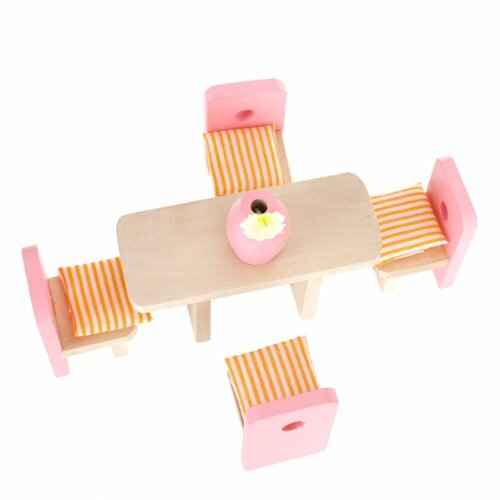 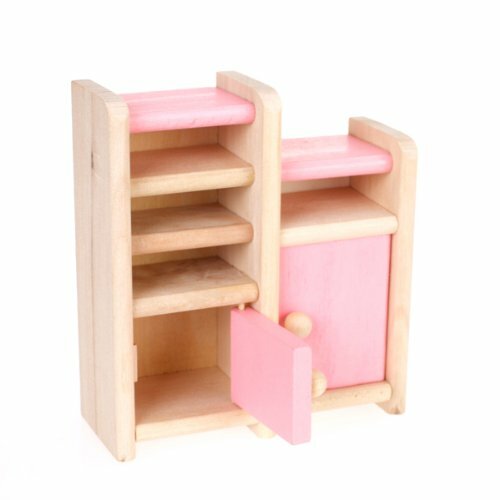 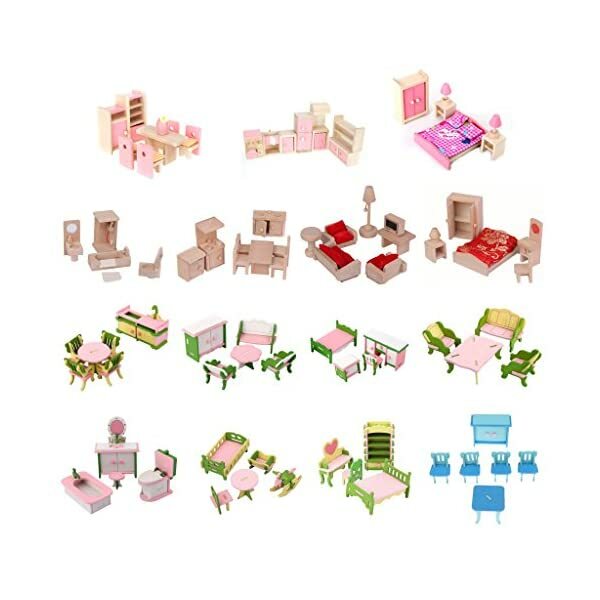 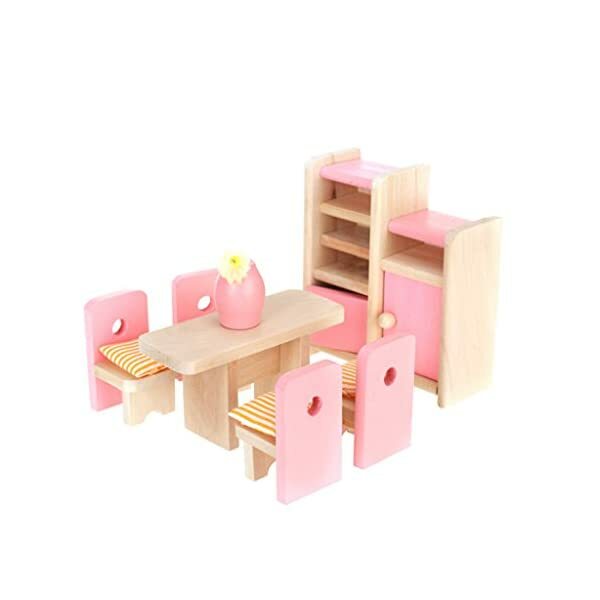 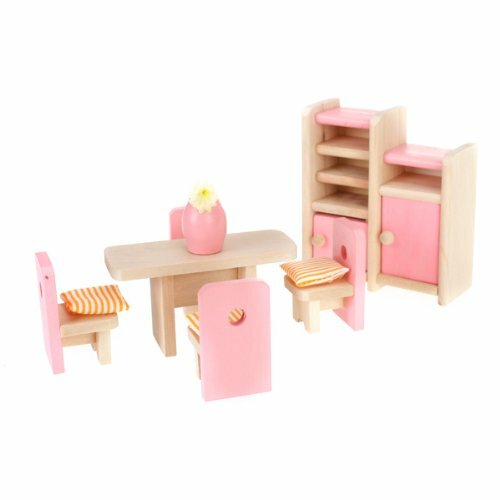 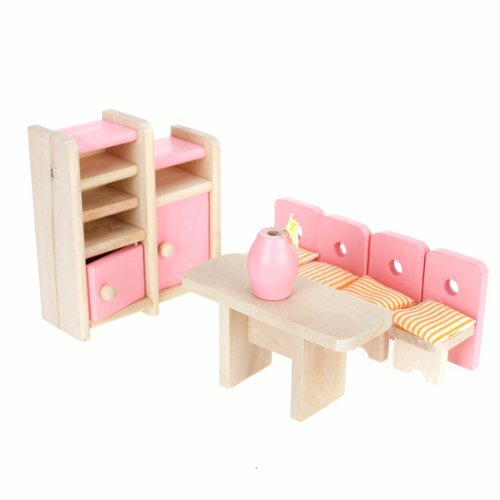 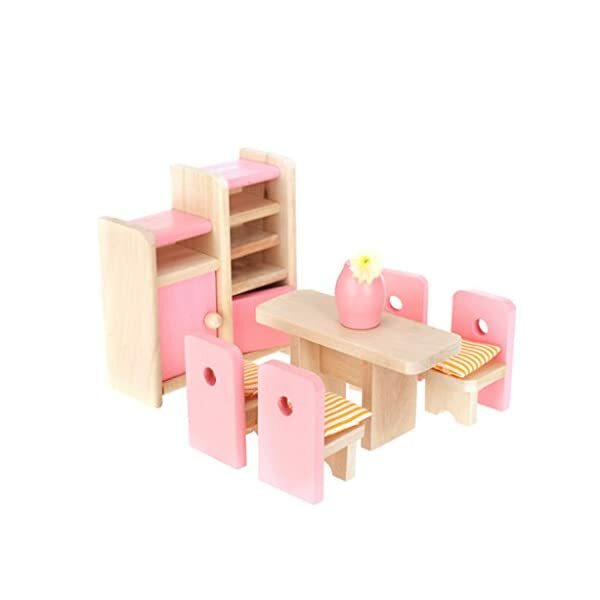 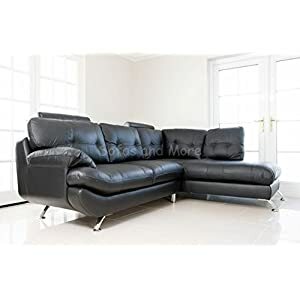 This dollhouse furniture wooden dining room set toy is colorful, well-made sturdy furniture, includes a dining table, four chairs with cushions, a display unit with 2 opening doors and display shelves, and a vase with flower. 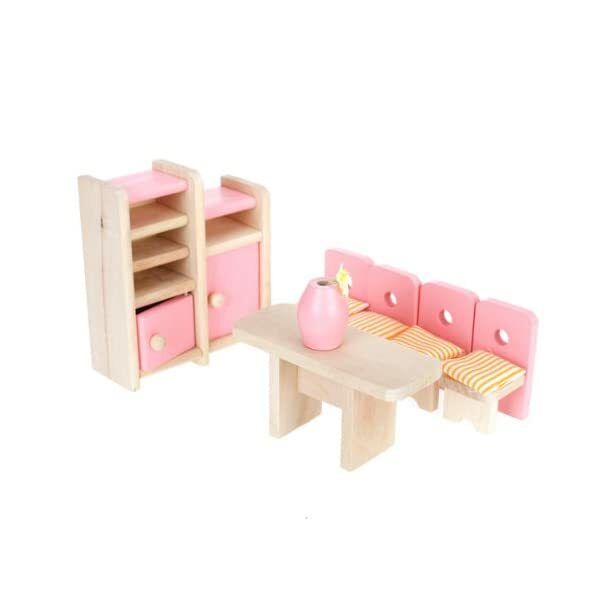 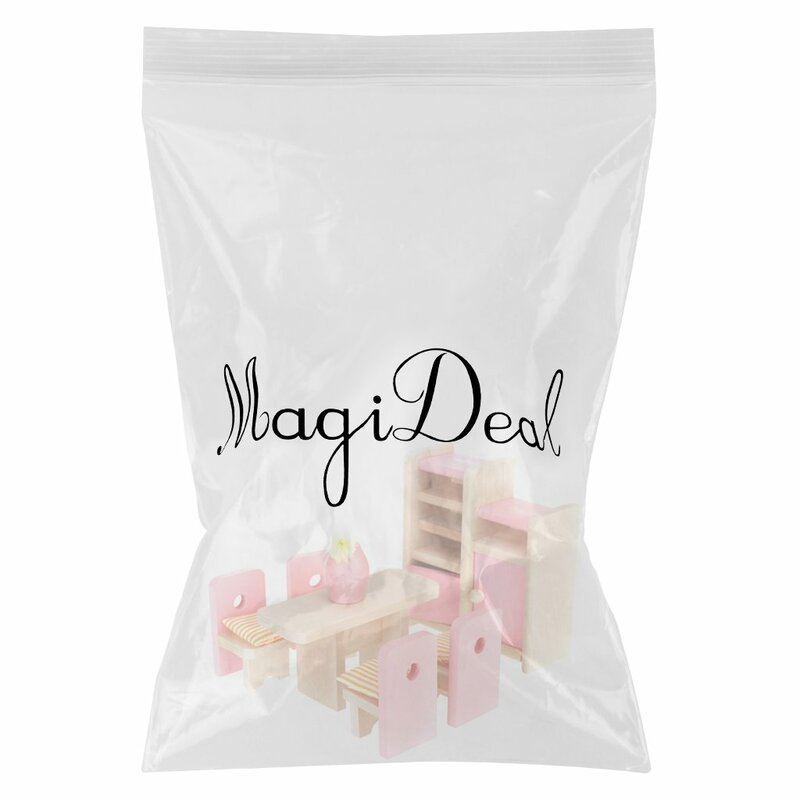 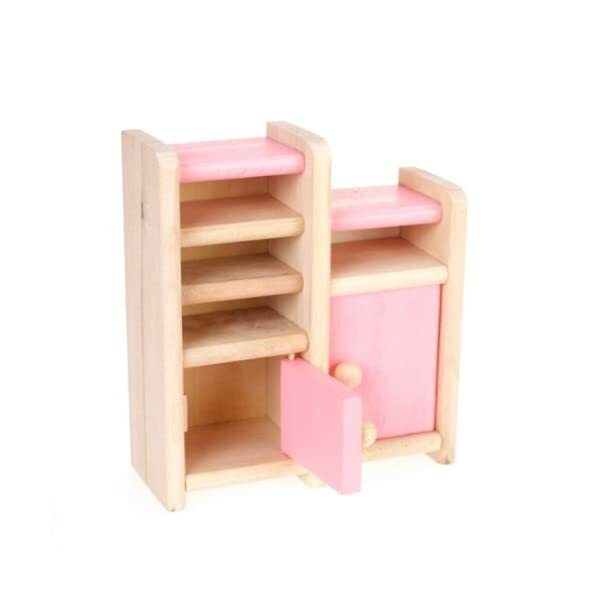 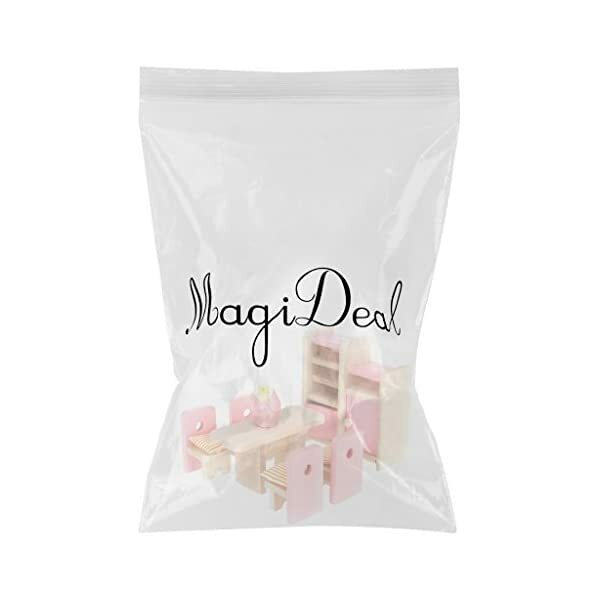 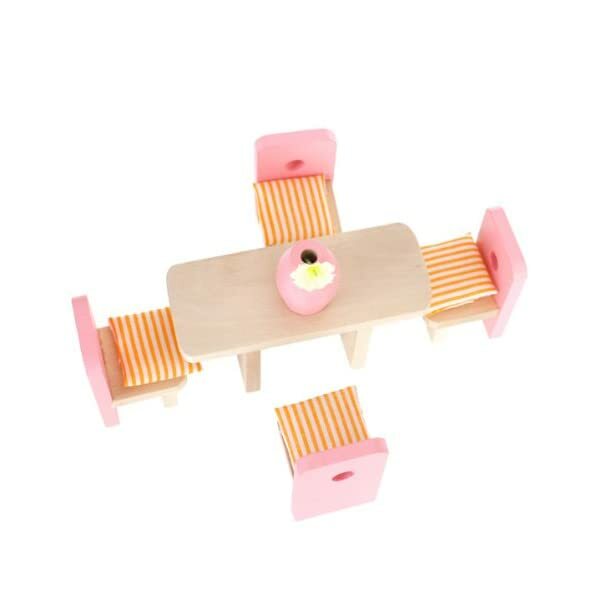 This wooden dining room set toy is great as an addition to dollhouse or to play on its own. 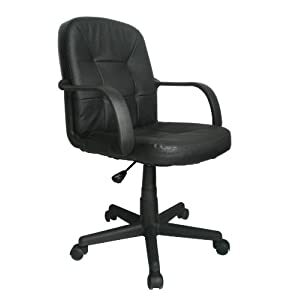 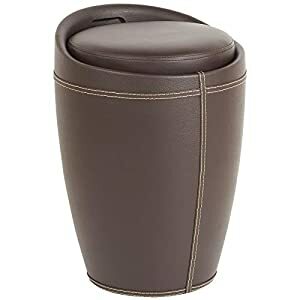 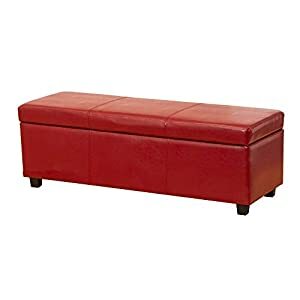 The cushion have two kind, will send in random!